Home Apple iPhone Why Isn’t Caps Lock Working on My iPhone 6? Why Isn’t Caps Lock Working on My iPhone 6? 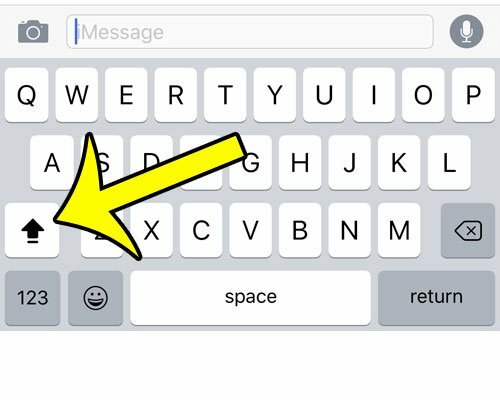 Before finding out about Caps Lock on an iPhone, many iPhone users probably thought that they needed to press the Shift key before typing each letter if they needed the “Caps Lock” effect. However, those iPhone users often eventually find out that they can double-tap the Shift key on their keyboard to simply the process of typing in all capital letters. But if you try to do this, you might find that the effect doesn’t seem to last, and you are only able to type one capital letter before the keyboard reverts to typing in lower case. Fortunately this is not an issue with your iPhone, but rather a setting that you need to enable by following our guide below. 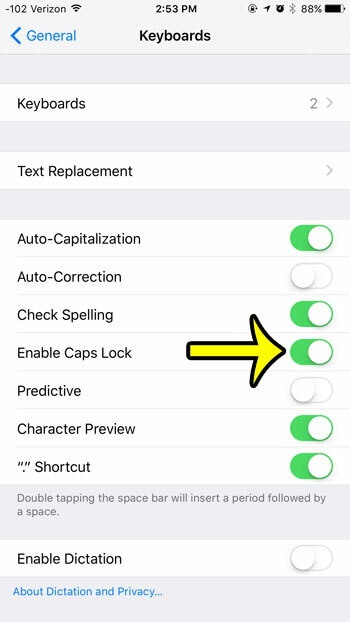 The steps in this article will show you how to enable the Caps Lock option on your iPhone. 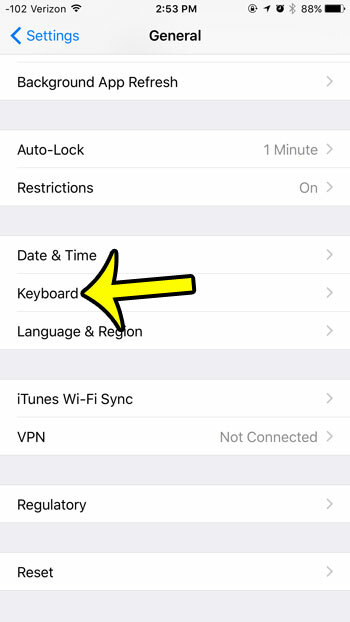 Once these steps are completed, you will be able to open an app that uses the iphone keyboard and double-tap the Shift key to enable Caps Lock. Scroll to the bottom of the menu and select the Keyboard option. Tap the button to the right of Enable Caps Lock. 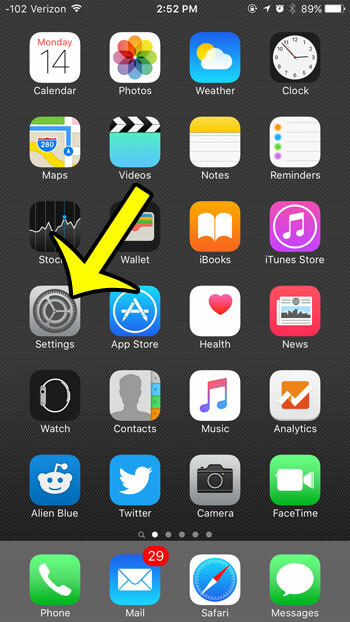 You will know that the feature is activated when there is green shading around the button, and the button is in the right position. Caps Lock is enabled in the picture below. When you open an app that uses the keyboard and double-tap the Shift key, then it should look as it does in the picture below. Once you have finished typing in all caps, tap the Shift key again to exit the Caps Lock mode. Running out of room on your iPhone? 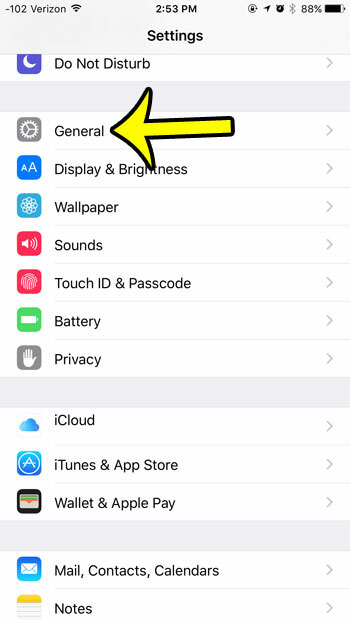 Learn how to delete an app in iOS 9 to make space for music, movies, or more apps.